img. 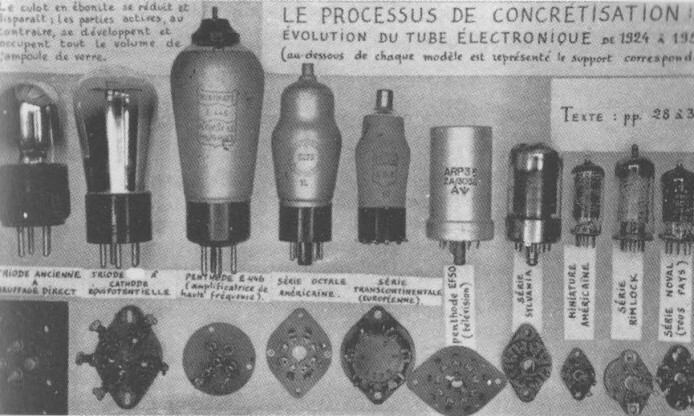 “Simondon Gilbert 1958 Le processus de concretisation”. Via https://monoskop.org. – How can, or should, we read Simondon today, in what is a completely transformed technical epoch from his own (digital technics having gone through an unforeseen and rapid process of concretisation)? – The processes through which everyday life has become, and is becoming, increasingly digitalised (or cyberneticised (Hörl and Burton, 2017)) confronts us with new problems. The rapid evolutionary mutation of digital technics has produced new associated milieus. Is culture still, as Simondon noted, a defense system against technics? What relation do we have, or could we have, with digital objects (Hui, 2012; 2016) in our associated milieus? What kind of technical beings have we become? Second, the theme of Simondon’s place in French and European philosophy more generally, given his engagement and relation to (for example) Karl Marx, Henri Bergson, Martin Heidegger, Georges Canguilhem, and the then emerging field of cybernetics; and further, the subsequent engagement of Simondon by, to name just two key examples, Gilles Deleuze and Bernard Stiegler. Any papers that consider the historical relation of Simondon to his influences, or postSimondonian thought to Simondon’s own work, will be considered. – The sorts of pedagogical stylistics which suffuse culture and its relationship to technics: what would the politics and pedagogy of a digital encyclopedism consist? – What future transindividual collectives could we invent (Mills, 2016: 83-89)? What paths towards the “reduction of alienation” can we create? As noted, the themes and questions above are non-exhaustive: we welcome creative submissions and, should you have any questions relating to the relevancy of your topic to the conference, please get in touch. This conference will have keynotes, panel sessions, and roundtables. Any submissions will be considered for a 20 minute talk which will then be followed by feedback sessions. We are also exploring potential publication ventures post-conference. Abstracts should be 300-500 words and sent to Conor Heaney – C.C.J.Heaney @ kent.ac.uk – by Friday 6th July.